Going back to school in style doesn’t have to cost you an arm and a leg. Here’s some of our tried and true life-hacks to make your days a little easier…and cheaper! Keep your markers and other writing utensils tip down to double their life by allowing the tip to always be full of ink! 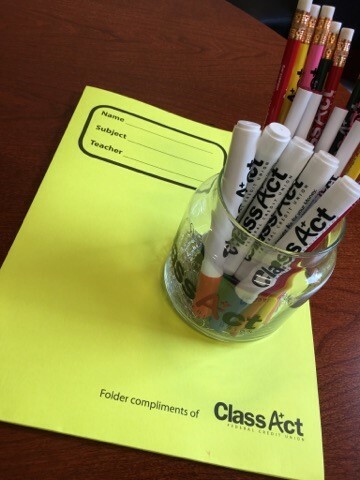 Mark Your Territory: Place a round sticker on your school supplies to easily keep track of what’s yours and to make sure it doesn’t sprout legs and run away! Shop Early for the Best Deals: Office supply stores like Staples and Office Depot/OfficeMax start rolling out their Back to School sales in early July! Shop early to beat the crowds and to get the lowest prices. Price Match Whenever Possible: Along with having early sales, Staples also price matches 110% if you find the same item at a lower price.